1. Stay near places with night activities. By this, I don’t mean clubs or pubs. 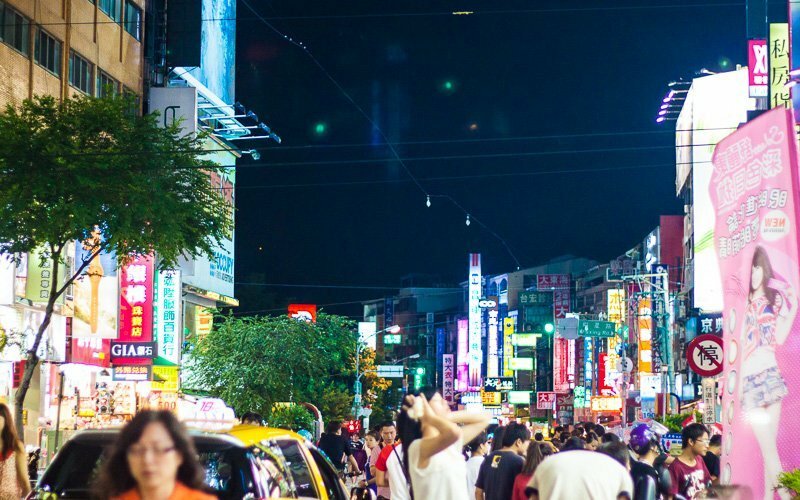 In Taiwan, it would be the night markets and shopping districts. It’s safer for you to travel back at night and if you don’t want to retire too early, it’s always a better idea to walk around near your accommodation than elsewhere since you don’t want to risk missing the last trains or buses. That said, I also discourage taking a cab alone at night. 10PM and the crowd is still going strong at Fengjia Night Market, Taichung, Taiwan. In Taipei, consider Ximending. But if you are going to be in Taipei for a short time and will be catching the HSR or TRA next, then Taipei Main Station will be a better choice. Hualien hostel, just opposite the train station. Saves you transport money! Taichung, somewhere near Fengjia, preferably along Fuxing Road (福星路). 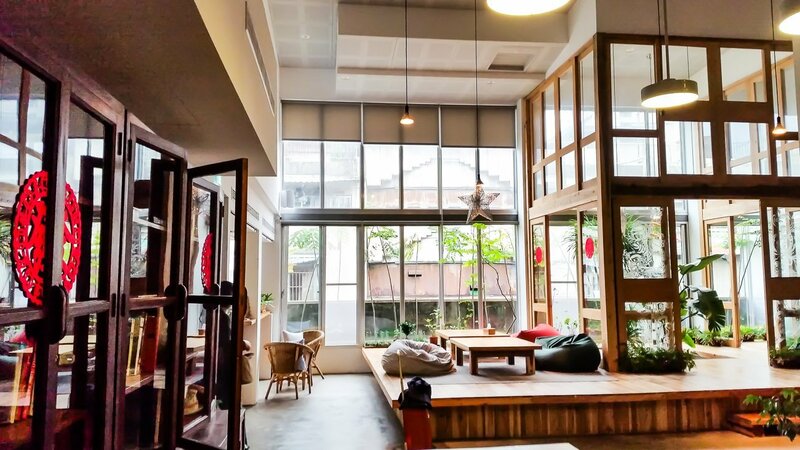 For Hualien, I’d recommend somewhere near the train station along Zhongshan Road （中山路), a distance away from the scenic areas but closer to food, shopping and night markets. 2. Read, read, read reviews. I will double-check, triple-check reviews across various websites because sometimes they can be rather inconsistent. This step is especially important for hostel, homestays and airbnb as they are not obliged to offer the ‘standard set’ of amenities and facilities. 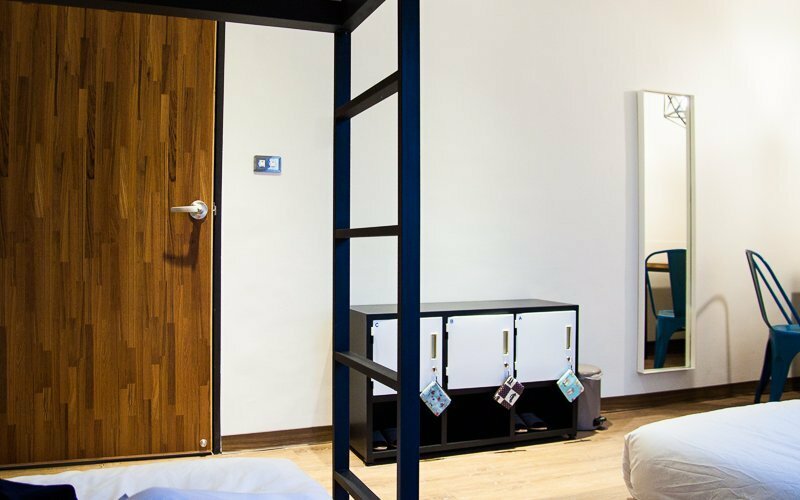 Small lockers in Hualien hostel – might be a concern for some? Some places will not provide towels, shower essentials while some hostels require you to bring your own locks. I know many ladies have been asking about the locker sizes and whether they fit luggages; reviews will be one of the most valuable channels for these nitty-gritty details. These are trivial things but could make for significant inconveniences. Don’t be shy to email the staff if you have any doubts. I find this to be a quick & good shortlisting criterion too; if they can’t be bothered to reply before you book your stay, you are better off finding somewhere else to put up. 3. Go for small rooms. This may sound weird since for the same price, people usually think the bigger room is better but when you consider accommodations for solo travelers, I think that would totally be creepy. I actually struck out apartments that were too big on Airbnb even though it was a lot cheaper than the hotel I stayed at. Small and cosy room, sufficient for one. The last thing I want on my trip is to be kept awake by unidentifiable noises in spaces out of my sight. 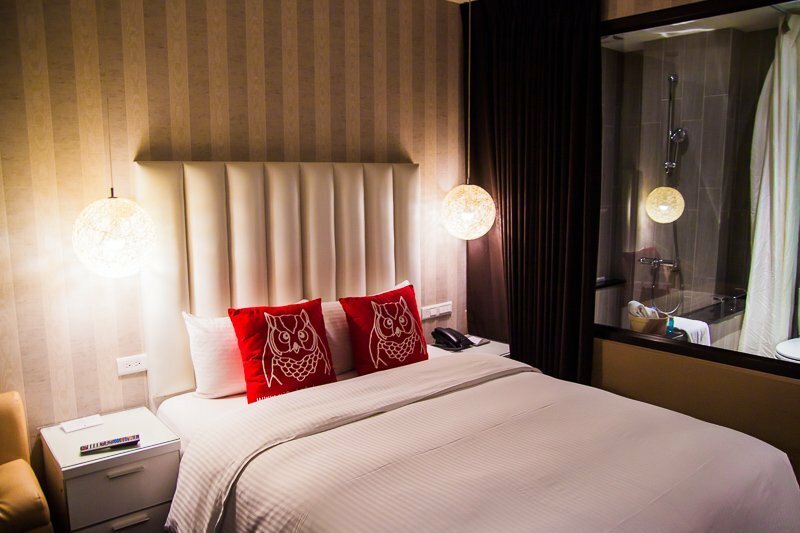 On the other hand, you may also want to make sure that the accommodation isn’t too noisy too. I was kept awake on the first night of a Penang trip because the hostel had a relatively open concept and people were partying till late. 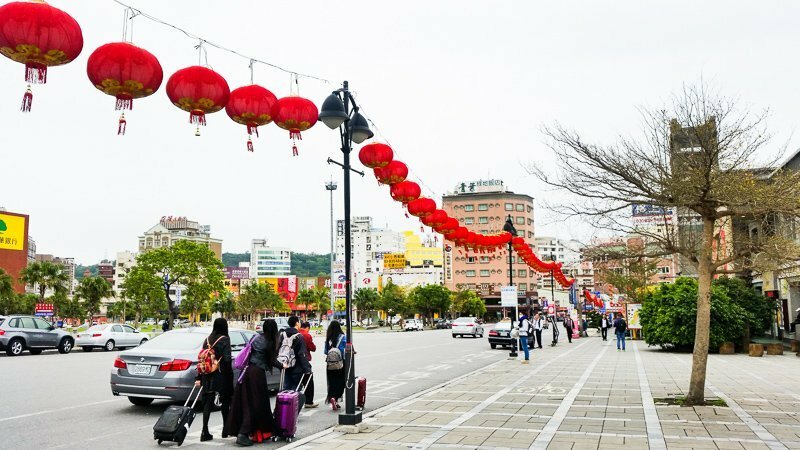 It’s no surprise that Taiwan is becoming an incredibly popular destination, especially with Singaporeans. I booked my accommodations only a month or two before my trip and was only able to get a bed in the popular Star Hostel in Taipei because I only needed it for a day. I missed my chance to stay in lovely studio apartments that I found on Airbnb and had to pay more for Via hotel in Taipei. Yea, bummer. 5. Breakfast provided (or not) is of the least concern. We usually want to book hotels with international breakfast buffet included but in Taiwan, no, as with many other countries such as Thailand and Malaysia. You can get awesome breakfast in Taiwan for about NT50 and really, I don’t want to have to miss that just because of that breakfast I paid for with my accommodation. 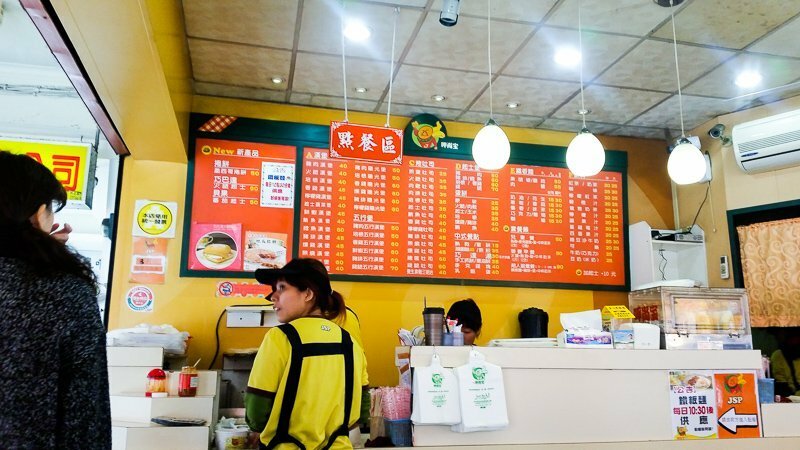 You are so going to miss out on A LOT if you stick with hotel breakfast-fare in Taiwan! Only exception for this are places like Cingjing where food is a mile away. This list could pretty much be applicable for any country you are heading to, and also for group travelers even! If you have any tips of your own, feel free to share in the comments too. List of places I stayed in Taiwan, coming up soon!